Below, download and print all of the letters and numbers you need to create the perfect party banners -- or a child's name spelled out for his or her bedroom -- from this set of colorful flags! All of the fr... See it! Below, download and print all of the letters and numbers you need to create the perfect party banners -- or a child's name spelled out for bedroom decor -- out of these colorful flags! 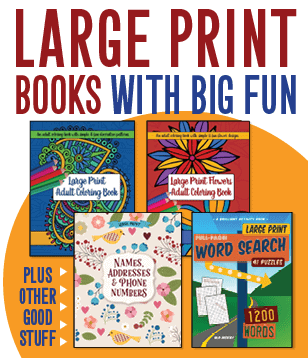 All of the free printa... See it! Below, download and print all of the letters and numbers you need to create the perfect party banners -- or a child's name spelled out for her bedroom decor -- out of these colorful flags! All of the free pr... See it! These pretty pink printable polka-dot letters are ready for you to print, cut out and to put on the wall, mount on cardboard, use in a picture frame, add to a decoupage or other craft project or anything else y... See it! These printable blue and green polka-dot letters are all ready to print, cut out and to stick on the on the wall, laminate, mount on cardstock, frame, use in a craft project -- or anything else you can imagine.... See it! This circle pattern could be used as a wreath, or as another kind of decoration for your room or home. It was drawn by someone back in 1909, making it more than a century old. ... See it! Need to create a card or a sign for your front door? This simple MERRY CHRISTMAS coloring page could be just what you need to spread a little holiday cheer! (Click on the picture to get a larger printable versi... See it! These printable multicolored striped letters are all ready to print, cut out and to stick on the on the wall -- whether you laminate them, mount 'em on cardstock, or put them in frames. With these letters, you ... See it!